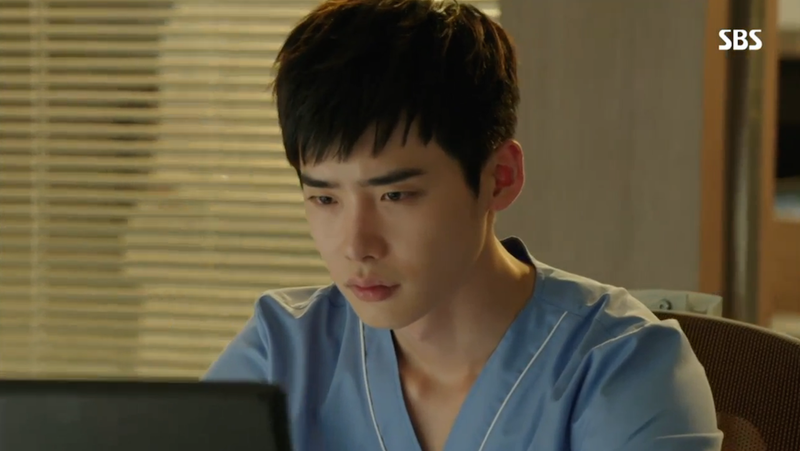 Episode 17 of Doctor Stranger focused more on Hoon’s struggle to be a good doctor, particularly in this never ending surgery competition. 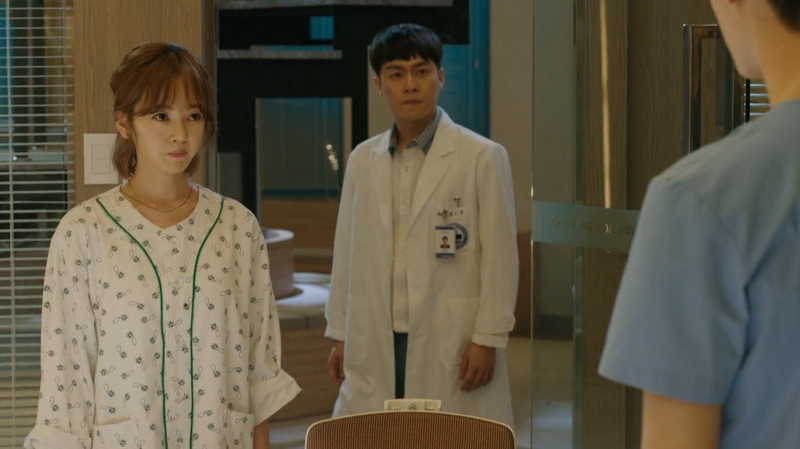 We get another new set of patients and this time the dreams of Chi Gyu’s sister are set to be the next victim of Prime Minister Jang’s convoluted method of choosing killer surgeons. 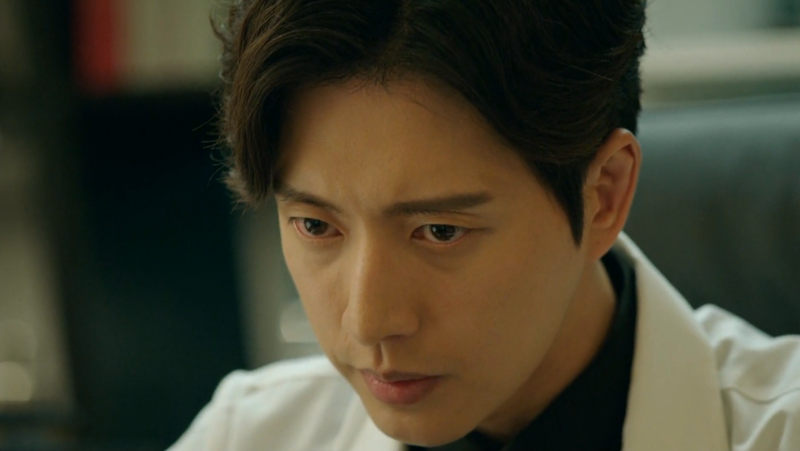 Some touching moments are mixed into the medical angst, particularly between Hoon and his mom. With only three episodes to go, I’m starting to worry about how this will all end. We’re still quite a ways away from all the answers I’d like to get! 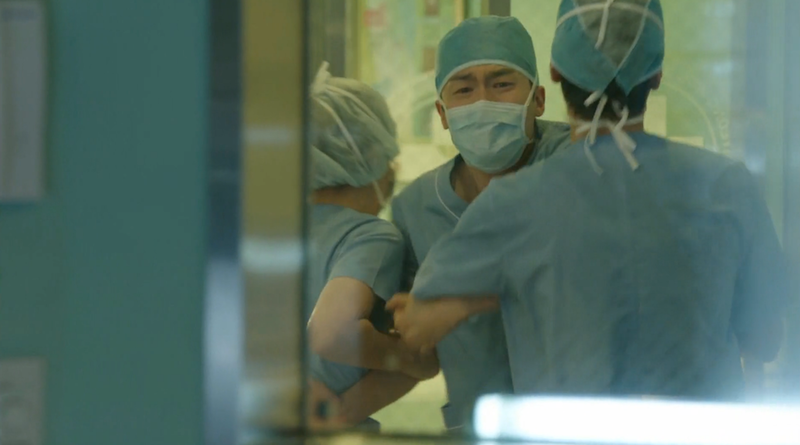 Hoon late arrival to the operating room still gives him enough time to save the patient and even deflect Doctor Yang’s half-hearted attempt at sabotage. 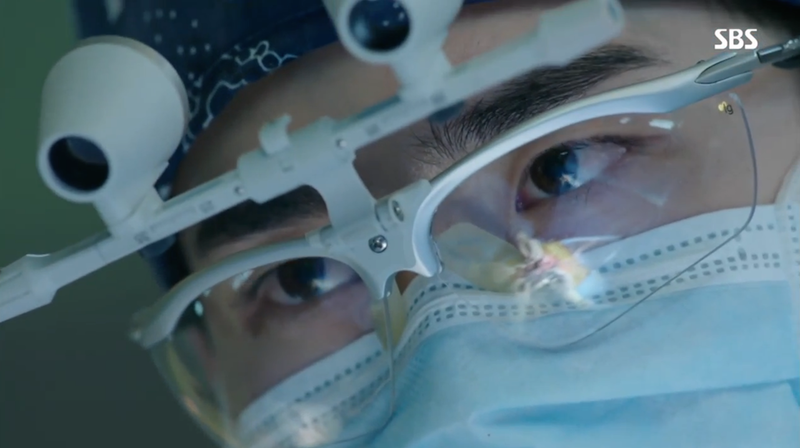 With some last minute help from Jae Hee, the patient makes it through the surgery just fine. Jae Joon watches on in disbelief that Hoon showed up even though the Prime Minister had promised he would be kept away. He also continues to hate the way Soo Hyun looks at Hoon with longing. 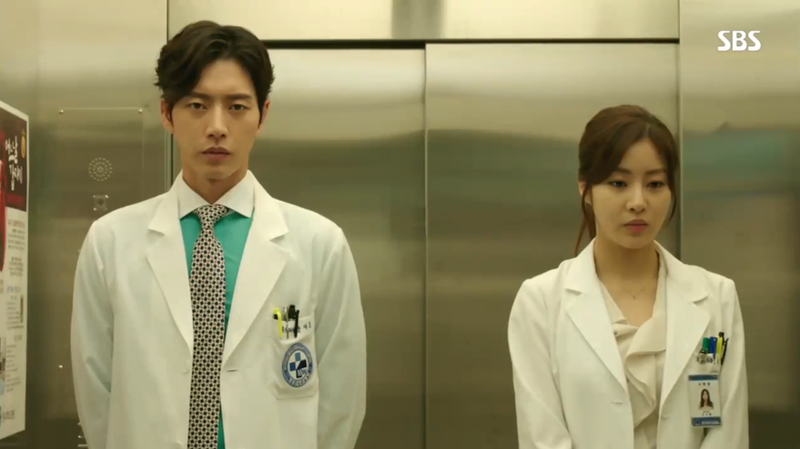 Jae Hee is not pleased that Hoon decided to come back to the hospital. She begs him to leave and let her handle this mission by herself. There is still time for him to turn back. Hoon of course defends that they should do this together. He can’t just leave her alone. Hoon finally learns that his mom is staying with Chang Yi and he goes over to see her. While she may still believe the teddy bear to be her little Hoon, it was still a very touching scene to watch. Later on, she even remembers to serve Hoon during dinner. Hoon tears up at her motherly actions. 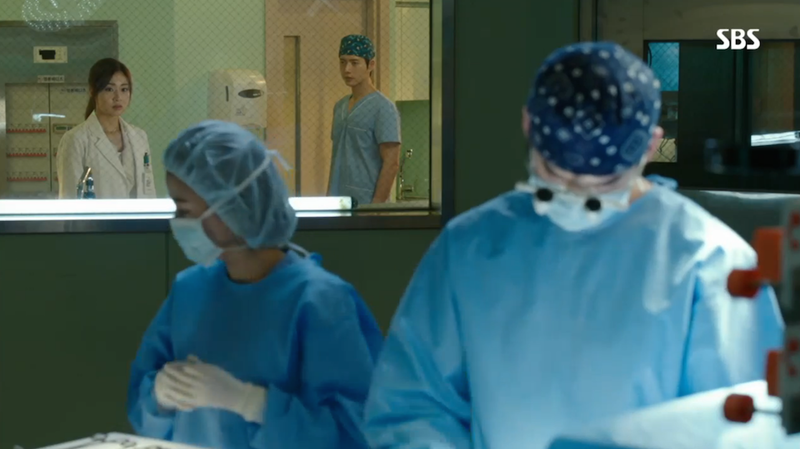 Since both Jae Joon and Hoon finish their surgeries successfully, Chairman Oh picks the next set of patients to decide the winner. In this round, they must perform value replacement surgery. 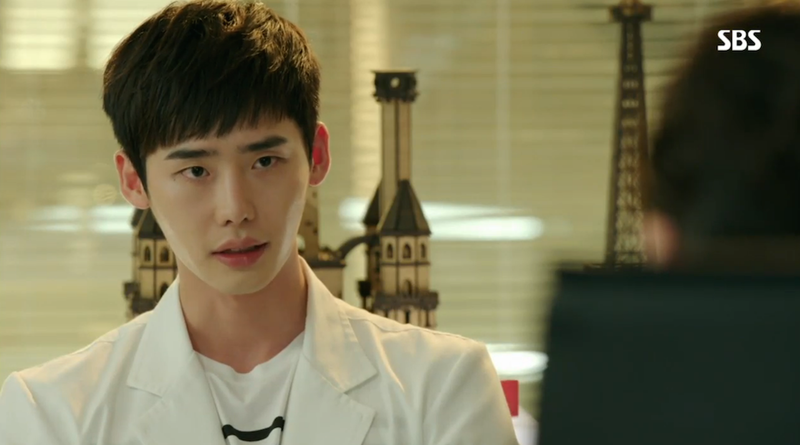 Apparently it’s a relatively simple surgery, but Jae Joon’s patient is much younger than Hoon’s. Doctor Moon is outraged at the disadvantage, but Hoon agrees and promises to win. When Hoon tries to convince Jae Joon to drop the competition, Jae Joon once again brings up Hoon’s father. Jae Joon hints that his “friend” was betrayed by Hoon’s dad when he went to claim fame in North Korea. Hoon gets very upset and tries to explain that his dad was forced to go to North Korea by Chairman Oh and the Prime Minister. All Jae Joon can say is “lies”. Oh we are so close, yet so far from getting these two on the same side! Soo Hyun may be trying to put her feelings for Hoon behind her, but Hoon is making it hard with his playful teasing and desire to remain close friends. She warns him not to call her Quack anymore, but that proving to be a difficult requirement for Hoon! Jae Joon and Soo Hyun aren’t doing so well in maintaing a good relationship. Jae Joon reminds her during an uncomfortable elevator ride that she can love anyone, but not Hoon. She says she’s trying her best to forget him. Jae Hee reveals to Soo Hyun that the reason she hid her identity from Hoon was because she didn’t have the confidence to meet him. She tells how her kidney belonged to her father and that Hoon was the one to perform the operation. Then these two then have a rather annoying fight where they try to reassure the other that Hoon actually likes the other more. Chi Gyu’s spunky sister Ah Young is one of the value replacement patients. She’s very reluctant to have the operation because afterwards it will be very hard for her to have children. She’s about to get married next month and wants to start a family. I must admit, I loved when Jae Joon walked in on her beating up her brother. Too funny! 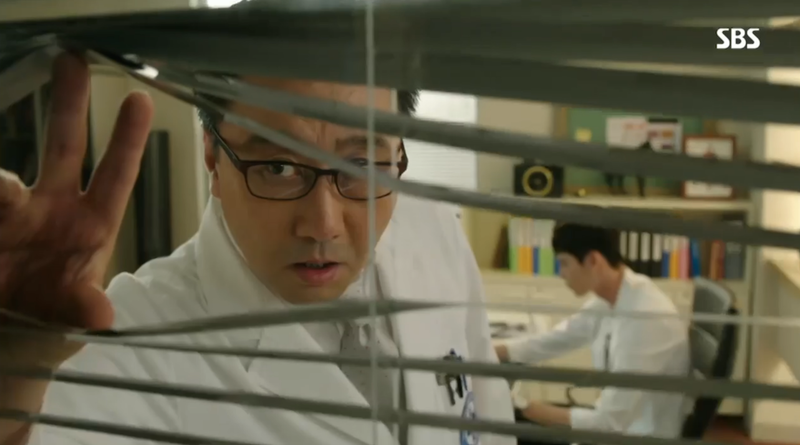 When explaining the details to Ah Young, Hoon discovers that Ah Young doesn’t actually need to have the operation right away. She could easily wait a few years, thus giving her time to start a family first. 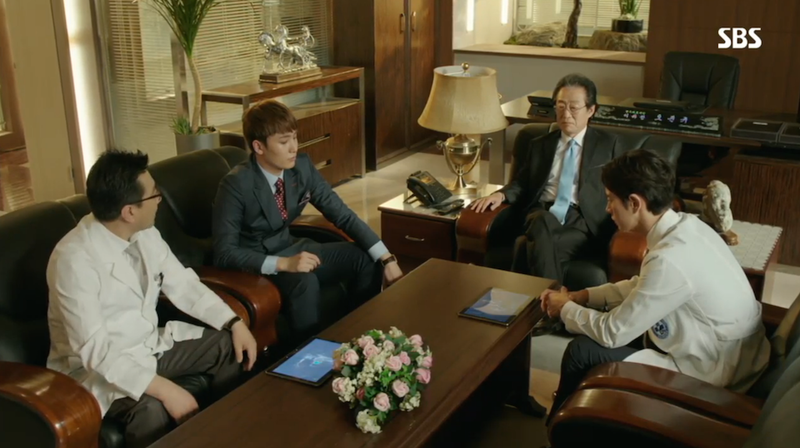 When Hoon confronts Jae Joon about this information, Jae Joon refuses to back down from doing the surgery. 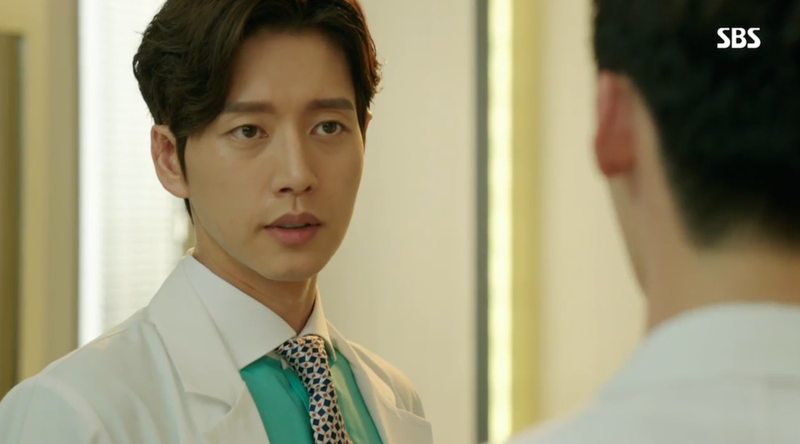 He lets Hoon know that he’s free to take Ah Young as his patient instead. He’s not going to lose at this competition, especially now that Chairman Oh has promised him the position of acting Chairman once all this craziness is done. Hoon and Jae Joon are giving Chi Gyu very different opinions about his sister’s need for surgery. Hoon says no, Jae Joon says yes. 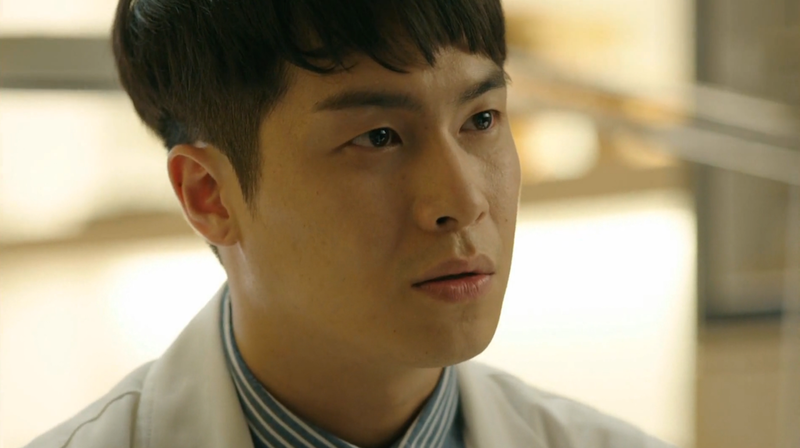 He wants to believe his chief, but even Chi Gyu has to ask if Jae Joon’s answer is only shaped by the competition. When Ah Young finds out about Hoon’s differing opinion, she turns to her brother to make the final judgement call. It’s heartbreaking to watch her dream get crushed when her brother decides she should have the operation. Jae Hee expresses her anger that Hoon decided to come back to compete. She lets him know that he’s caused her a lot of trouble and that they will need to talk after the surgery. 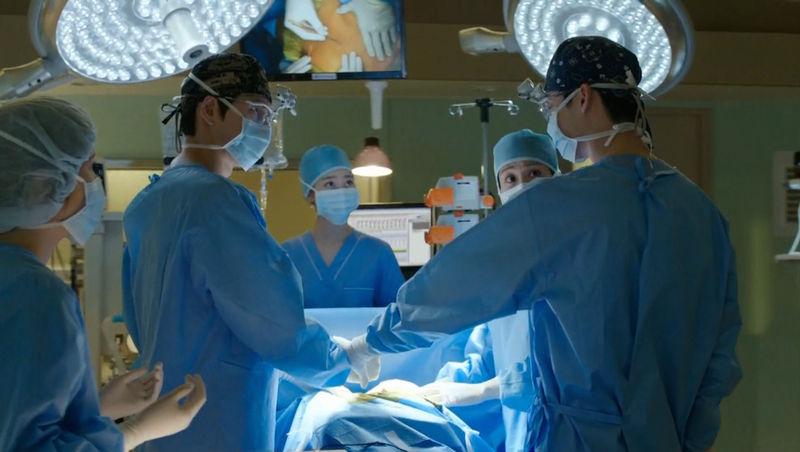 It looks like Jae Hee wants to keep things going as planned with her and Jae Joon doing the President’s surgery. The surgery prep goes as normal, that is until Chi Gyu has a change of heart and decides he doesn’t want his sister to have the surgery. He begs Hoon to let her live a normal and happy life. 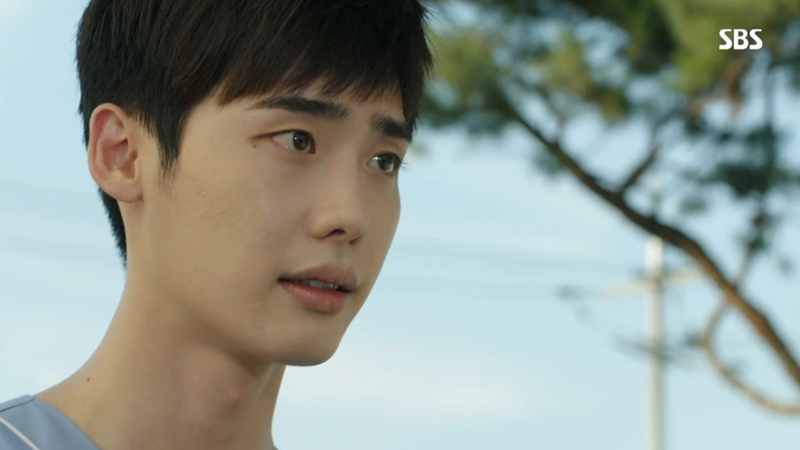 Hoon can’t help but be swayed by Chi Gyu’s words and he pauses to remember his dad’s final words. 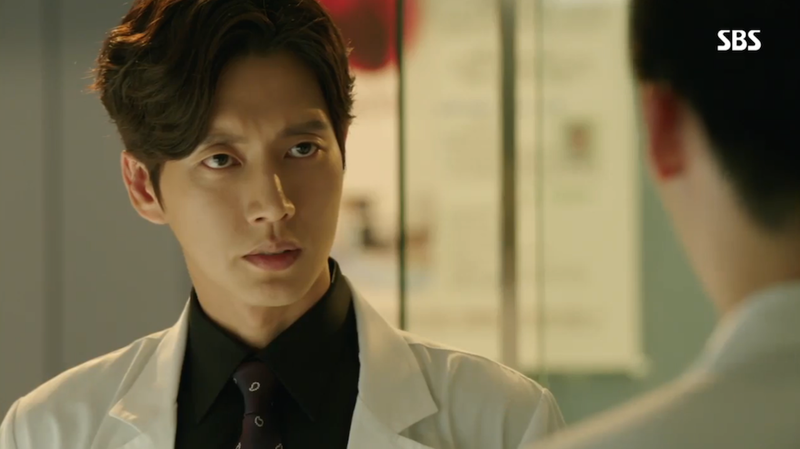 Hoon now must quickly decide if he should act for the competition or for the sake of being a proper doctor. At the conclusion of episode 17, Hoon stops Jae Joon from starting Ah Young’s operation. He’s going to switch patients, even if that means he’ll lose the competition. There’s definitely a shift in this episode toward a more humanistic and medical focus as opposed to the spy centric plot that we saw in previous episodes. The writer keeps going in circles and it’s clear that a definite path was never nailed down regarding the direction of this show. Each week brings another erratic change and it’s upsetting to see these characters wallow in the aftermath of the ridiculous story lines. I’m ready to see how this mess gets tied together. I’m very anxious for Jae Joon to finally figure out that Hoon is not his enemy. We got very close to solving this horrible mystery this episode, but Hoon is still unaware of just how badly Jae Joon was slighted by Chariman Oh. I think the resolution of this plot line along with future Hoon and Jae Joon teamwork to fight against the bad guys is my remaining hope for this show. Dear writer, please don’t disappoint! What did you think about episode 17? How do you think the surgery competition will play out? Good point on the writer going in circles without a definite path nailed down. I hope the writer does not disappoint in the end either.